Ask a group of successful adults at the top of their respective careers to name the most influential person in their lives, and its a safe bet many, if not most, will cite the influence of a teacher who helped open their eyes to lifes possibilities and their own potential. Ask successful graduates of any Indianapolis Public School arts magnet program to name the most influential person in their lives, and its a very safe bet they will name Sandy Reiberg. An Indianapolis native, Reiberg received her bachelors degree from Indiana University in French and Spanish and her masters in dance from Butler. After a brief stint working at the Art Institute of Chicago, Reiberg and her husband moved to the Virgin Islands, where they both found jobs teaching. During their seven-year stay on the islands, Reiberg danced with the civic ballet company of the Virgin Islands and began teaching dance to children in the community, in addition to a full-time job as a high school French teacher. Returning to Indianapolis in 1978, she continued to dance, with Dance in Progress from 1978-1984, and began her teaching career with IPS. The arts are the most essential part of learning and growing, Reiberg says, a difficult philosophy to have in an age when most public schools have all but eliminated the arts from their curriculum. Reiberg acknowledges the challenge of providing arts education in this day and age: Its a constant struggle for the arts to be valued as part of a childs education. Despite these challenges, or perhaps because of them, Sandy Reiberg has been at the center of arts education for children in the IPS system for nearly 25 years. I dont know why we dont value arts education more in this country, she states. Perhaps its part of the American Puritan work ethic. Americans seem to be afraid to have work be joyful. 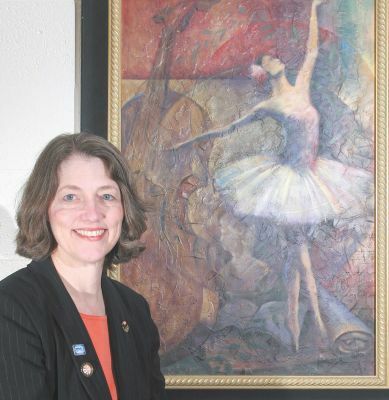 After a 13-year stint teaching dance at Shortridge Middle School, Reiberg moved to IPS School 70 when it became the first arts magnet at the elementary school level. There she implemented the three-year grant from the federal government that made the arts magnet possible, and she remained at School 70 for six years as its arts program coordinator. Since 2001, she has been teaching at Broad Ripple High School, the IPS arts high school. Reibergs passion for the arts and her commitment to education was inherited from her parents. She credits her mother for arranging the dance, art and music lessons that inspired her and her siblings. In addition to her own dance career, Reiberg has a sister who now operates her own small film company. Another of her many siblings, Mike Read, is a well-known and successful musician who came to fame as part of the local band Roadmaster in the early 1980s, and now performs with the crowd favorite Zanna Doo. Her father-in-laws passion for the arts manifested itself in his performances with local opera groups, as well as his commitment and support of a variety of arts organizations. This passion led the family to establish the Rufus Reiberg Reading Series at IUPUI, providing funding that has supported a variety of literary events and projects for the city. Our parents loved the arts, and passed that passion down to all of their children, she says, and its a tradition she passed along to her own son and daughter, who are both artists in their own right. My son Eric, my daughter-in-law Carrie and my daughter Julia are my real heroes, she admits. But its her grandson Lucas, who turns 1 this month, who really calls the shots in the Reiberg family and will most likely carry on the arts tradition. Children have always brought tremendous joy to my life, but Lucas is now my deepest joy! says Sandy Reiberg the dancer, teacher, mother and now grandmother. And, yes, we are already teaching him about the arts.